Popp and Siegfried Eggl, a Caltech postdoctoral scholar at NASA’s Jet Propulsion Laboratory, Pasadena, California, created a model for a planet in the Kepler 35 system. In reality, the stellar pair Kepler 35A and B host a planet called Kepler 35b, a giant planet about eight times the size of Earth, with an orbit of 131.5 Earth days. For their study, researchers neglected the gravitational influence of this planet and added a hypothetical water-covered, Earth-size planet around the Kepler 35 AB stars. They examined how this planet’s climate would behave as it orbited the host stars with periods between 341 and 380 days. 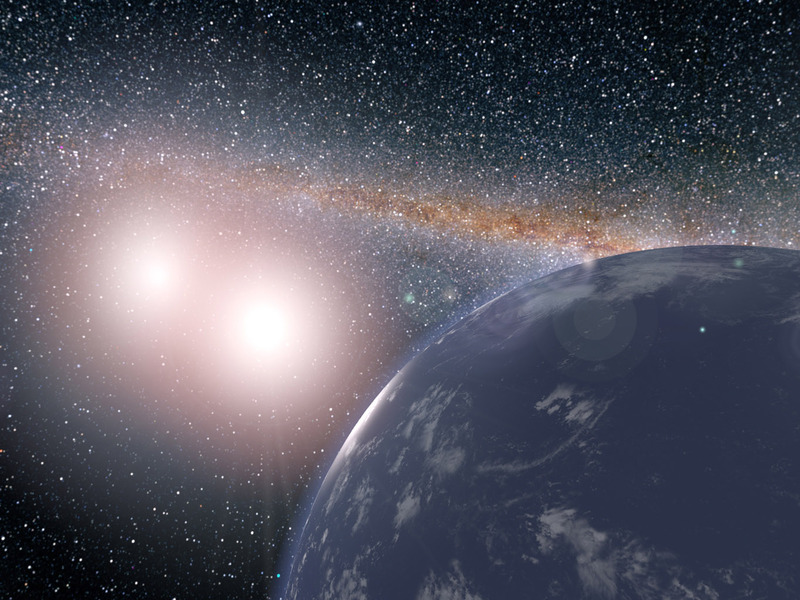 Popp and Eggl found that on the far edge of the habitable zone in the Kepler 35 double-star system, the hypothetical water-covered planet would have a lot of variation in its surface temperatures. Because such a cold planet would have only a small amount of water vapor in its atmosphere, global average surface temperatures would swing up and down by as much as 3.6 degrees Fahrenheit (2 degrees Celsius) in the course of a year. NASA’s planet-hunting Kepler telescope is managed by NASA’s Ames Research Center in Silicon Valley. JPL, a divison of Caltech, managed Kepler mission development.